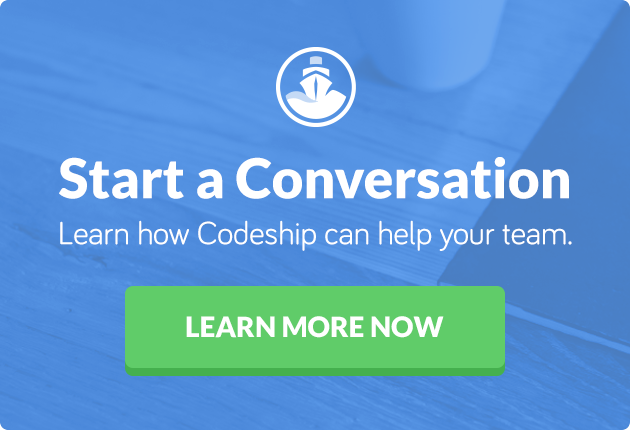 At Codeship, we’re pleased to be able to integrate with several third-party products across a variety of areas to ensure your CI/CD workflows are that much smoother. For example, Assertible is an API testing and monitoring tool that can be used with continuous integration and delivery services like Codeship to test and validate your web applications. By using Assertible, you can ship more reliable code for your teams and your customers. The Assertible documentation provides a great guide to getting started, and the instructions below have more information on integrating with Codeship to run integration tests during CI and test your web app after a deployment with Codeship Pro and Basic. You can get these values out of your Assertible dashboard after setting up a new web service. To test your API or web app during your CI build, Assertible recommends building and running your app on Codeship and then using an ngrok tunnel to trigger the test suite. And that’s it! Be sure to customize the command that starts your application. Now when your build runs, your application will be started and Assertible will run the API tests you’ve configured. To test your API or web app during your CI build, Assertible recommends building and running your app on Codeship, and then using an ngrok tunnel to trigger the test suite. To run tests against your API or website after a deployment, add a new custom-script step to your Codeship project’s deployment pipelines. For a more complete walk-through of setting this up, read this Codeship blog post: Add Post-Deploy Smoke Tests to Any Codeship Pipeline.